A teacher workshop supported through H2O and the Texas Stream Team was held in July in Corpus Christi. During the training, Texas Stream Team instructed seventeen teachers in core water quality and bacteria monitoring. This took place at the Texas A&M Corpus Christi campus and was coordinated by the H2O Project. The majority of attendees came from Cunningham Middle School. These teachers are also involved in a US EPA Learning Urban Watersheds Grant. This is a joint project between Texas Stream Team and Cunningham Middle School intended to teach students about nonpoint source pollution. Texas Stream Team has supplied Cunningham Middle School with E. coli Bacteria monitoring supplies, which they will be using to take middle school students on field trips to Oso Creek where they can learn about bacterial contamination resulting from stormwater runoff. Teachers received continuing education credits and certification as citizen water quality monitors. 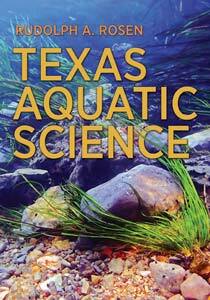 Texas Stream Team helps teachers effectively present the abstract concepts of aquatic biology, chemistry and ecology. With a broader understanding of water quality issues, students are better prepared to form solutions to environmental concerns. Established in 1991, Texas Stream Team is administered through a partnership between the Texas Commission on Environmental Quality, the U.S. Environmental Protection Agency and the River Systems Institute at Texas State University. Over 1,400 Texas Stream Team trained citizens collect water quality data on lakes, rivers, streams, wetlands, bays, bayous, and estuaries in Texas. About 40% of Texas Stream Team monitoring groups are now teachers and their students. Educators find Texas Stream Team to be a valuable teaching tool that lends itself to cross-disciplinary instruction.